KraftingK: Additions to the Stampin' Up clearance rack - Painted Blooms Designer Paper. 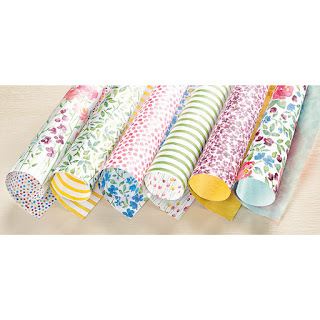 Additions to the Stampin' Up clearance rack - Painted Blooms Designer Paper. This was a class early in 2015 using the Painted blooms paper from the 2015 Spring /summer catalogue. That paper has just gone into the Stampin'Up clearance rack. It is now just £3.98, but only available while stocks last. Really frustrated I can't get the link to be the picture of the papers! Me and IT just don't go together. I also ran a class where we made a bag and six cards to fit into the bag, This uses the same paper set. If you fancy treating yourself to this I would get in quick. It was very popular at the time. Order from my online shop by clicking the link below the picture of the paper or here to have a look around the other clearance rack items. If you spend £25 or more please ensure you check the button to allow contact as then in January you will get a small gift and card from me in the post as a thank you.